Why is AngularJS Considered Unique? Angular enables building dynamic and interactive single page applications that include compelling features such as two-way binding, templating, dependency injection, RESTful API handling, AJAX handling, and modularization. Designers and developers are enabled to make use of HTML as template language as well as extend the syntax of HTML for conveying the application’s components. Building dynamic applications using Angular doesn’t require relying on third-party libraries. This highly advanced and feature-rich client-side framework is being widely used and adopted by individual developers as well as Web Development Companies across the globe. The numerous plug-ins and features available in this framework greatly improve HTML codes and simplify app development and testing across complexity and scale of the project. Perfect Model-View-Controller (MVC) Architecture: This is a software pattern for developing applications effectively. While the model layer takes the role of managing the application data, the view layer takes up responsibility of displaying this data. The controller connects these layers. Unlike in normal MVC architectures where developers need to split the app into the said three components and also write code for connecting them, in AngularJS, they just have to split the app into MVC. It takes care of the rest, saving significant coding time. Ivy Renderer: This backward-compatible Angular renderer focuses on size reduction, increased flexibility, and speed enhancement by bringing down the size of the app and making compilation faster. Code size is greatly reduced by using this feature. Bazel compiler: Rebuilding only what is essential, Bazel compiler is used for any software built at Google. It eliminates the need for rebuilding the entire app for every petty change. It requires rebuilding only the code that has actually changed. Angular elements: The perfect choice for developing single page apps and creating a widget that may be added to an existing web page, Angular elements package allows creating an Angular component and publishing it as a Web Component that maybe used in any HTML page. Component Dev Kit (CDK): Angular Material library makes use of component dev kit that provides over 30 UI components. CDK allows building your own library of UI components by using Angular Material. Schematics: The technology of Schematics helps Angular CLI in generating Angular artifacts. Schematics let you create your own templates and allow Angular CLI to explore them. Service Worker: This script runs in the web browser, managing to cache for an application. Angular 6 provides service worker with bug fixes as well as other additional features. Google’s support: Google’s long-term support is one of the biggest advantages of Angular. Google uses the Angular framework, ensuring its stability. Declarative UI: HTML is used by Angular for defining the application’s UI. HTML being a less convoluted, declarative, and intuitive language, there’s no need for investing time in program flows. Moreover, spending time on deciding what has to load first is also avoided; you just need to define what is needed, Angular takes care of the rest. MVC Pattern that is simplified: Embedded with original MVC software architecture set-up, Angular just needs the app divided, rather than splitting it into components and building code for uniting them. Testing is easy: Angular.js modules have application parts that are easy to manipulate. Testing becomes extremely simple. Modular structure: Code is organized into buckets in Angular; these buckets are referred to as modules. These make organizing application functionality easy, making it possible to segregate it into effective features and reusable chunks. Code consistency: Consistent code renders sites easy-to-use while facilitating use of templates or pre-defined code snippets. 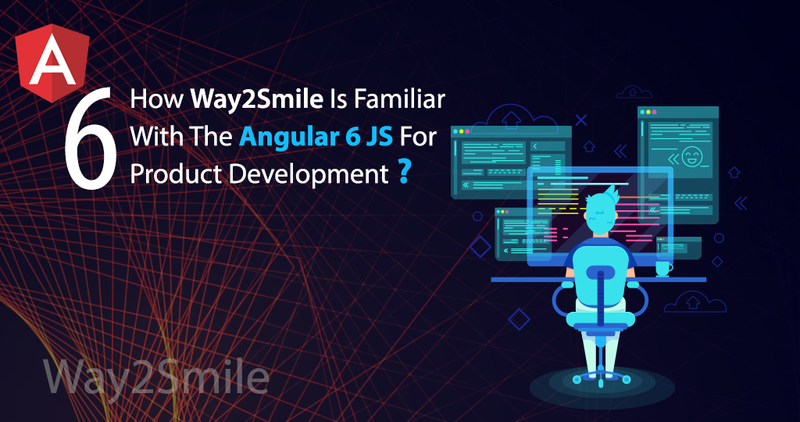 Way2Smile, with its years of experience in handling projects of clients from varied industries, helps develop robust and reliable web applications using Angular framework. 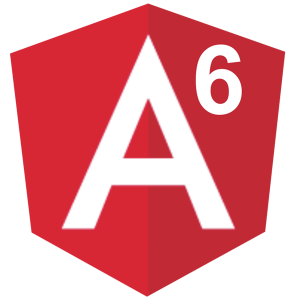 We have experts who excel in developing unique products using Angular 6.